With views of Cefalu and the sea, Villa Cipressi set in an excellent position in the Madonie National Park situated on a hillside. The property is built on different levels with terraces for dining and relaxing and an infinity pool. An attractive mix of Sicilian style and modern furnishings, the interiors have colourful fabrics and floor tiles, wooden beams and modern bathrooms, making it a comfortable home from home. Boasting two kitchens and dining areas, both inside and out, as well as a pizza oven, the villa is well set up for dining together. On the same level as the dining area are two bedrooms, one double and one twin, each with their bathrooms. On the next level down some steps is another double bedroom with its bathroom and access to a terrace and infinity pool. A self-contained separate annexe for two is perfect for any guests who appreciate more privacy. Kitchen, sitting room/dining area with glass sliding doors leading out to a shaded dining terrace and outside the kitchen. First floor: one double bedroom and one twin (or double) bedroom, each with a bathroom en suite. Down steps to a bedroom (French bed size) with a bathroom and direct access to a terrace and swimming pool. One double bedroom and bathroom with shower. We had an excellent stay at Villa dei Cipressi. Great view and the house was also very nice. Good communication from your side and from the local representatives. In spite of our late arrival, our MassimoVillas rep, Stefano was really helpful, going out of his way to help us settle in and making sure we had everything we needed at the house. The food hamper I ordered was perfect and included all we wanted. Having arrived in the dark, we were not prepared for the spectacular views in all directions when we woke up the next morning! it is more impressive than the photos can show. 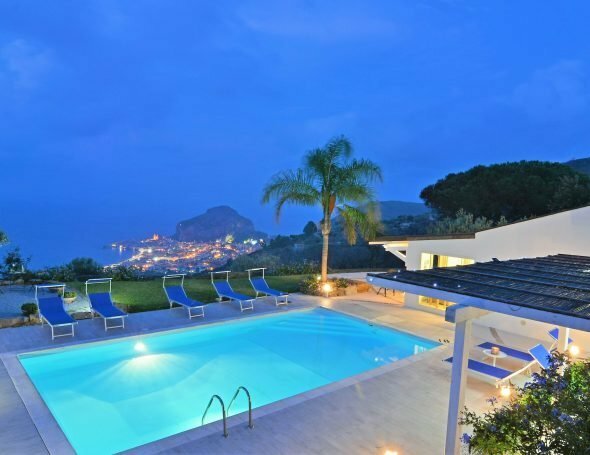 The location of the house is quite remote, and the road there requires some nerves, but it is worth it for the views over mountains, the beautiful town of Cefalu and the Aeolian Islands out to sea. The house was spacious, well equipped, the beds comfortable, with four bathrooms plenty big enough for 6-8! The pool has it’s own bar area and pool furniture, and we chose different terraces to have our drinks and lunch on each day. There are two kitchens to cook in and gorgeous herbs, fruit trees and flowers growing everywhere in the well looked after terraced gardens. The town of Cefulu has good shops, great restaurants and all you need on holiday. We loved staying at Villa Cipressi and highly recommend as a great place to stay on a visit to Sicily it- we hope to return! An utter delight, Villa Cipressi exceeded our expectations and provided us with much laughter, joy and reassuring comfort for our stay in Sicily. Top marks, thank you Massimo villas. We had a fabulous stay at Villa Cipressi and really loved the villa. 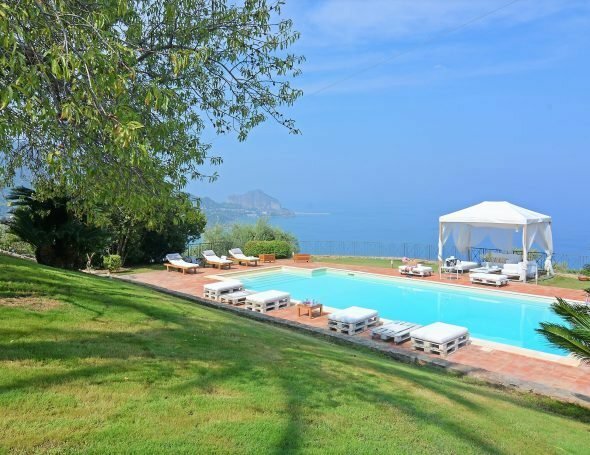 It's location is stunning, with wonderful views over Cefalu and the coast - magical both day and night! It took a bout 25 mins to drive up from Cefalu into the mountains (so no quick dash for provisions), but once there it was well worth it! The layout of the villa is just perfect: lots of outdoor social spaces which all connect nicely to the villa (better for adults/older children due to being on lots of levels with connecting steps). We loved the outdoor kitchen, complete with BBQ and pizza oven - this was the hub of all our eating and was nicely shaded at all times of the day. The Massimo villas team were excellent,m both before and on site, and ensured our stay ran smoothly. 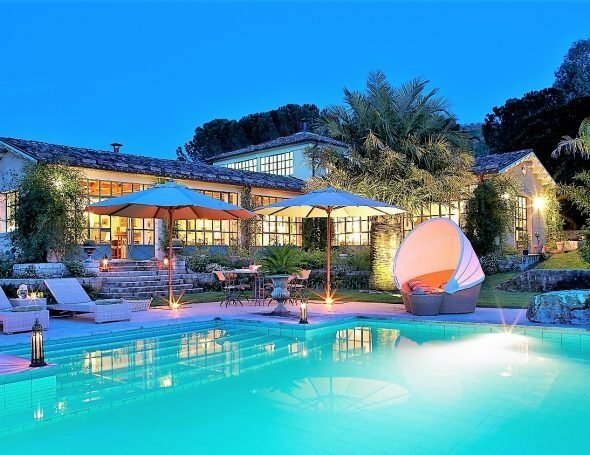 I'd definitely recommend this villa - great for anyone who like to be away from it all.